[8 mins. 45 secs.] The team behind the new indie film "We The Animals" is in the first segment. 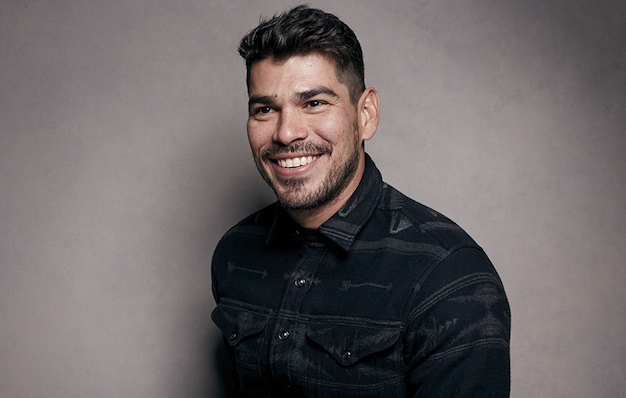 In Part 1 I chat with director Jeremiah Zagar ("Captivated: The Trials of Pamela Smart") and actor Raúl Castillo ("Looking"). [37 mins. 45 secs.] In Part 2 I speak with the film's director of photography Zak Mulligan. Manny, Joel, and Jonah tear their way through childhood. Their mother and father have a volatile relationship that makes and unmakes the family many times over, often leaving the boys fending for themselves. As their parents rip at one another, Manny and Joel harden and grow into versions of their father. With the triumvirate fractured, Jonah, who is the youngest, becomes increasingly aware of his desperate need to escape. Driven to the edge, Jonah embraces an imagined world all his own. The film is being distributed by The Orchard and was produced in partnership with Cinereach. [1 hr. 6 mins. 52 secs.] The Danish actor Trine Dyrholm is the next up. Trine stars in the fiction film "Nico, 1988" which is currently screening at Film Forum. Approaching age 50, singer/songwriter Nico leads a solitary existence -- far from her days as a Warhol superstar and celebrated vocalist for the Velvet Underground in the 1960s. Her life and career on the fringes, Nico's new manager convinces her to hit the road again and tour in Europe to promote her latest album. Struggling with demons and the consequences of a muddled life, she longs to rebuild a relationship with her son, whose custody she lost long ago. The conversation was recorded at the offices of Magnolia Pictures which is releasing the film.